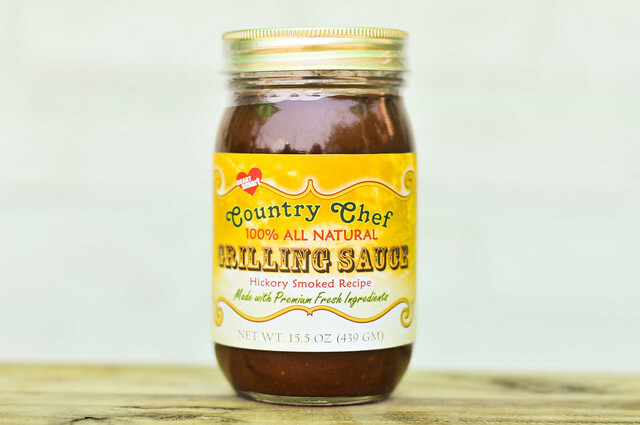 Adding to the garden fresh flavor of the Country Chef sauce line, a bit of hickory liquid smoke gives this variation a more robust barbecue feel. Almost 2 years ago, Chef Mike Espy sent me a suite of six County Chef sauces. The day they arrived and I carried the heavy package up the stairs, I made a promise to myself to try each and every one. It's taken me a while, but I'm down to the last two, and I'm finally getting around to giving this Hickory Smoked Recipe a try. The concept behind the entire line of Espy's sauces is to offer a product that's built from quality, fresh ingredients, while maintaining an affordable price point, something that's not done all that often. 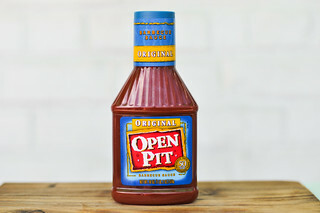 This sauce continues the Country Chef trend of a tangy tomato aroma with a garden fresh feel. 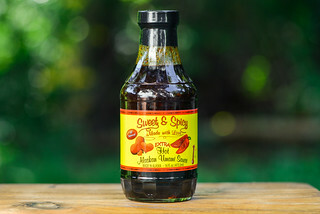 While most of the other sauces stopped there, this bottle also brought along a strong smoky component that mixed well with the tomato and vinegar. There's a slightly sweet smell as well, but no trace of spicy heat. This medium-thick sauce has visible chunks of veggies, wearing its natural ingredient claim on its sleeve. Its burnt orange color masks most of the spices, but there's still some black specs of pepper and white spots of garlic or onion powder throughout. From a suspended spoon, the sauce first falls in one big chunk, then a few smaller ones, with a thick coating of sauce left clinging. Although smokiness was pretty prominent in the aroma, it was more faint in the flavor. 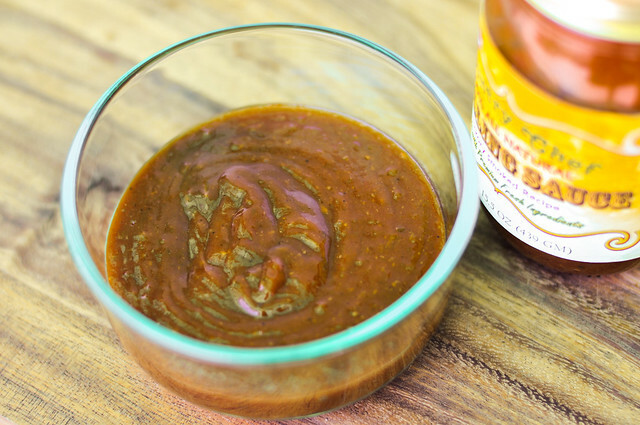 The sauce's namesake only came into play at the very end, with the natural sweet tomato flavor and light vinegar tang giving this sauce its defining characteristics. The crunchy chunks of celery, green pepper, and onion certainly added to the overall freshness. 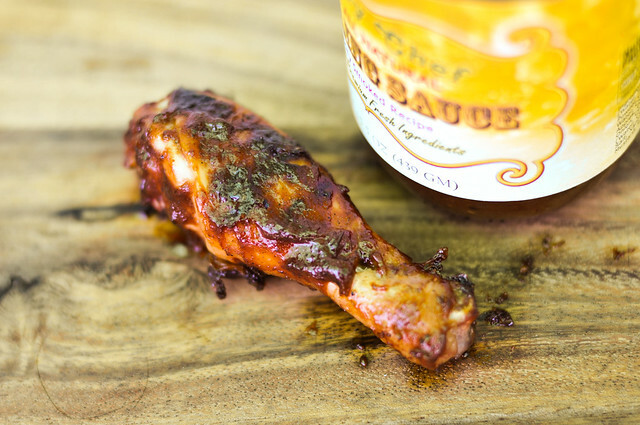 The sauce is nicely balanced—not too sweet, not too tangy—but also lacks a bit of heat that I think is part of a well rounded barbecue sauce. This sauce coated the chicken well, although a little globy. It baked in over indirect heat and held up over direct with a little caramelization here and there. The heat brought out more sweetness overall, as well as smokiness. 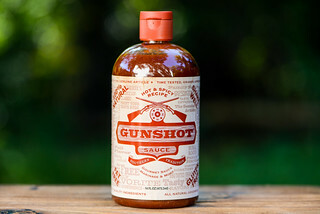 The sauce gained a robustness and strength after being cooked, maintaining the defining fresh flavor, but pumping up other elements to make it more powerful than out of the jar. So now I'm down to just one more sauce in the Country Chef line to go. Looking back, I think making a dedication to review all six sauces did more harm than good. First, I spread it out so long that I'm unsure if Mike Espy is even producing these two years later. Second, each different recipe was such a slight variation on the original that it didn't seem like I was reviewing really unique sauces and it kind of diluted their attractiveness to me in the end. Still, it's a fine natural sauce with a fresh flavor that strikes a good balance between tangy and sweet. A slight smokiness makes this one a little different than the rest, but out of the jar that characteristic is almost lost, while it has more prominence after being cooked. Veggies or chicken would be an ideal use, where the garden flavor could come out most, but it might be a bit too weak to stand up to beef or other strong flavored meats. That Chicken looks so good! It is making me hungry. I'll have to try it.